It's been a summer of changes for former One Direction member Zayn Malik, and the latest one is definitely throwing me a loop. Days after announcing he's recording his first solo album, the unthinkable has happened: Malik has reportedly ended his engagement to Perrie Edwards, according to People. Yup, after almost four years together — all of which was spent being a ridiculously adorable couple — Malik and Edwards are no more. And from the sound of what sources have told the mag, it was Malik's idea to end the relationship two weeks ago, leaving Edwards "devastated." 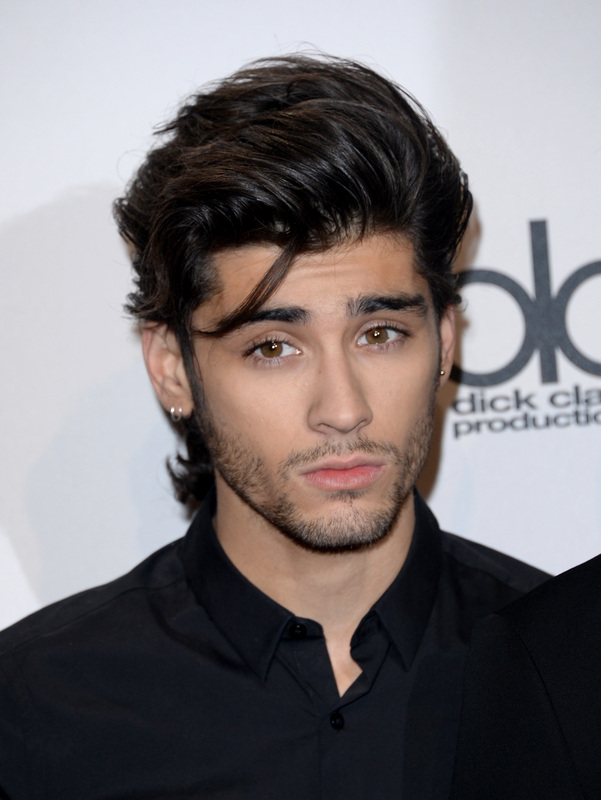 Update: A rep for Zayn Malik has confirmed his breakup with Perrie Edwards to Us Weekly. "She's been putting on a brave face as Little Mix have had promotion to do, but she's obviously devastated," says the source. Heartbreakingly enough, it's been almost exactly two years since Malik proposed to Edwards in August 2013. Yep, it really has been that long since Malik proposed, which makes it even more heartbreaking that he and Edwards have decided to call it quits. I had a feeling this news was coming, between Malik's apparent renaissance since breaking free from 1D and the fact that they'd been engaged for so long without having any concrete wedding plans, but it's still a bit of a shock. Now, obviously, I am left with so many questions. Did he quit the band to try to salvage his relationship? Was his brain invaded by aliens who made him quit One Direction and then dump Edwards? We may never have the answers. Neither Malik nor Edwards (or their reps) have confirmed the news yet, but we'll keep you updated. In the meantime, I'll be here, caught in the weird place between being glad Malik is single and being super sad that their fairytale romance has ended. Zerrie forever!